How do I set my sim free? And once I set the sim I control free, do I choose a new sim to control? I'm pretty sure that part is up to you. If you want to keep playing that sim and literally set it free you can move it out of the house and into its own house. The game ends with the goal met, then you can do whatever you like with the household, it's all yours. Personally, i think it would be really funny to do that and leave the asylum running on its own while playing another house in the same game. Then your sim can run into his/her old asylum "pals" in town. First of all. I LOVE this challeng. I have a few questions. Can you have a coffee machine. Can you have a maids room. Are you allowed to join the detective, doctor/nurse and science. Are you allowed to upgrade the items when you have the money. - Active careers are not allowed as they require leaving the lot. 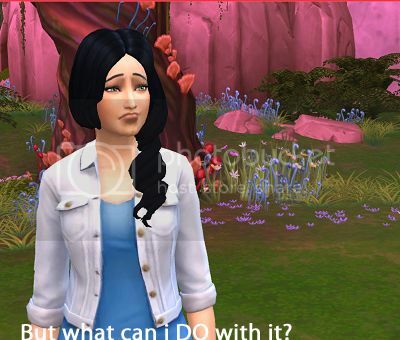 - Your Sim cannot own a retail business"
Upgrading: "You can only replace items, you cannot buy extra items. For example you can replace the fridge but you can’t have two fridges. You cannot upgrade objects in hard mode. Using the handiness skill to upgrade objects is allowed in all difficulty modes." As for coffee and maids, i'd think that would be in the same category as using objects to change mood and that's not allowed in these rules. So, are inmates allowed to have intimate relationships? 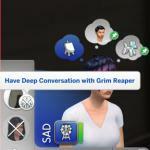 The rules don't specify but i didn't allow that as it would have given my sim a lot of advantage in the moods department and i wanted to keep it challenging. To me, in the context of these rules, it seems like the same principle as using objects to get a mood advantage. Also, do computers count as skill-building? This is random, that's how I like it. It is very interesting and fun this challenge ! Heres my 2nd episode! Crazy things start happening! A girl throws a drink in a guys face. I make a sim get a job to contribute to funds. And poor Zuri Ling always gets picked on. It is so much fun to see how each household plays out! After a few days i was getting constant pop-ups about who now "despises" whom and dirty sims were passing out everywhere! Lots of lols! I know right! I want to play it some more!!!! probably one of the more fun challenges ive done. I'm starting this challenge today, so excited! I did soo not consider how much the bill was going to be when I got the asylum... God plum. Oh, I think I just failed this challenge... All of the other 7 Sims died. 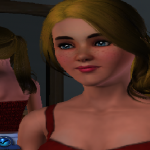 The first 2 when my main Sim was about to complete her first Aspiration and the other ones when she kept fighting to complete the second one. I was playing on medium mode. Ohhh boy. This is gonna get interesting. I am so not going to beat hard on normal lifespan. I'm going to have to start it all over. This is a really fun challenge though, mostly I'm just enjoying watching the chaos unfold So many of my fellow crazies hate each other now. > I did soo not consider how much the bill was going to be when I got the asylum... God plum. I'm supposed to have 2,190 simoleons on the first few days? Seriously?! Oh plum! Better get to painting! 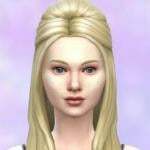 But you can select two of the misfit sims to get a job. As long as its the criminal career. I build my own asylum on hard mode and it's very bare bones, because with only $100 starting money the taxes will destroy you if you don't. So yeah, not pretty, but it's got what I need. Oh snap! I guess im doing between medium and hard cause I started them with $100 but all the stuff in the house with medium difficulty. I have just started this challenge. So far so good. However, I am thinking about changing one thing up. I am thinking about having only 7 insane sims and 1 cook. I thought about making the kitchen without doors so that nobody can come in and use the stove. I will have the kitchen set up like a studio apartment for the cook. They will have everything (computer, tv, radio, stove, bathroom..etc) but the other people will not have access to it. I will move the cooked food to a table in the main room for the other sims to grab. Instead of restarting the whole thing over (since I have only been playing about an hour), I will just change one of my crazy people to the cook. Will let you know how it goes. > Oh plum! Better get to painting! But you can select two of the misfit sims to get a job. As long as its the criminal career. I have started this challenge on medium mode, I love love LOVE it! Shower - these people are animals! That is a really cool idea, I may try that. Well I started a few days ago, there is a boy called Remus who literally JUST aged up into a child, and about to get Roxy preggers again. This post gave me an idea I think I'm going to try. Seven patients and one live-in 'caregiver' that has their own little apartment in the asylum. The caregiver only does maintenance on broken items during their 'shift' (haven't quite decided how long a shift will be). So if the toilet breaks while the caregiver is off shift, it stays that way until their new shift begins. I don't know what the ultimate goal there would be in this but I thought it'd be interesting. Yeah, in the other rules set i found (and posted earlier) you're supposed to build the asylum without cheating any money into the household then start with 10 or fewer simoleons. That would keep the bills much lower. One thing i did was to make sure to turn on auto-lights for all lights, that helped a bit. I also didn't upgrade anything. Then again, i epically FAILED! I didn't realize the game was realistic enough that leaving the lights on all the time would affect the bill. I'll have to remember that.